Introduced in 1997 with the 1998 model, the Mercedes ML – also known as the M-Class – is a pioneer of the high-end SUV market. Its chunky, muscular design quickly captured the public imagination and spawned a number of rivals. American in spirit, the Mercedes ML has gone through three design generations, and has been built in Alabama since 2002. From the outset, the Mercedes ML showcased a number of groundbreaking technologies. All vehicles featured side-impact airbags with automatic detection for the front passenger seat. The ML was also the first SUV equipped with electronic stability control, a feedback system using automatic braking to restore controlled driving conditions. Launched as the ML 320, the first-generation Mercedes ML comes equipped with permanent four-wheel drive and a 3.2 litre V6 engine, which is just as well since the vehicle weighs a whopping 2,110 kg. Nevertheless, with this powerhouse under the bonnet the ML 320 can achieve 60 mph in 9 seconds and clocks a top speed of 130 mph. From 1998, Mercedes-Benz also introduced the ML 270 CDI, powered by a 2.7 litre turbo-diesel engine. Critics of the first-generation Mercedes ML feel it fails to live up to the standards of its manufacturer, especially in the quality of materials. Some argue that 19” wheels look laughably small under such a bulky body, and the cabin interior leaves much to be desired. Though 150 mm longer than its predecessor, the second-generation Mercedes ML has a completely redesigned, more aerodynamic body. This generation of the ML addresses the significant problems with the vehicle’s overall quality and remains a popular choice. In 2008, Mercedes-Benz introduced their BlueTec diesel engine to the ML range. One revolutionary new feature of the second-generation ML is the 7G-Tronic seven-speed automatic transmission, hailed as the best automatic gearbox in production. This, together with improvements in the front and rear suspension, enhances the smoothness of the ride. In the latest M-Class, this has been redesigned to give impressive improvements in fuel economy. Indeed, the ML only seems to get better with each round of innovation. 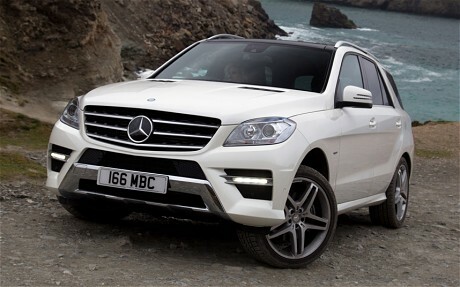 For those who love a bulky body and a comfortable interior, the Mercedes ML is a seductive SUV. It is comfortable, reliable and safe, doesn’t suffer from any common faults, and has never undergone a safety recall. 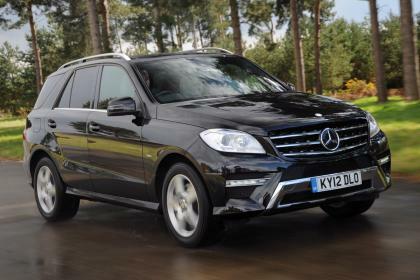 However, with earlier models being more expensive to run and with sky-high bills for unscheduled maintenance, there eventually comes a point at which your Mercedes ML stops being a good investment. That’s the point at which it makes perfect sense to talk to Scrap Car Kings about recycling your vehicle.